Below are new renderings and a video of Moishe Mana’s proposal to remake Flagler Street into a curbless, pedestrian-friendly road. 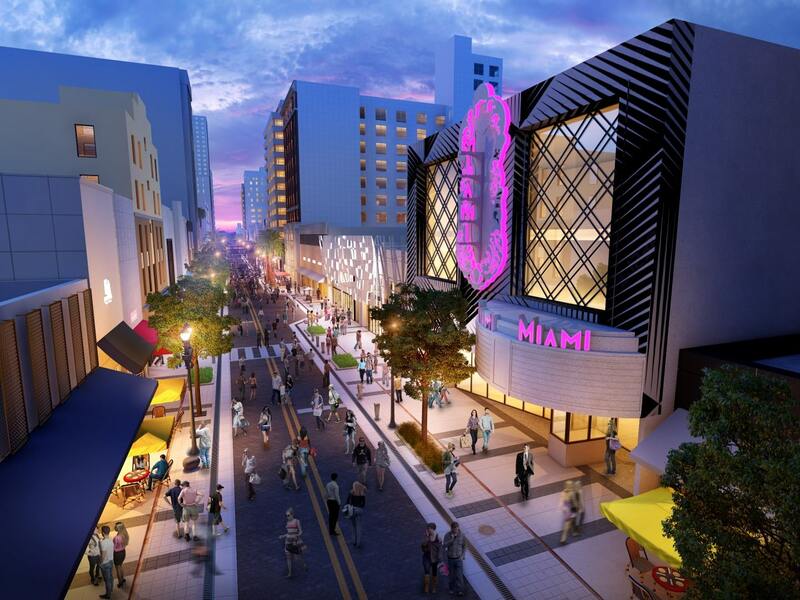 Planners for Mana created the concept and presented the plans to Miami’s Downtown Development Authority at meetings held in January and February of this year. DDA board members were impressed enough that they halted a construction project that was underway, and directed staff to look at funding options. The project could cost around $6 million, and take 36-42 months to build. Also people are lazy and apparently don’t mind spending hours a day in the car. Yes but no… my pet peeve is you can’t show up to somewhere sweaty in Miami. It’s unprofessional. That may be so but the previous Anonymous has a point, it is unprofessional to show up sweating like a pig, specially if you are in a profession where one deal can bring in thousands of dollars. You can only make a first impression one time. Obviously you don’t mind and that is fine. I will not tell you how to live your life, don’t tell me how to live mine. 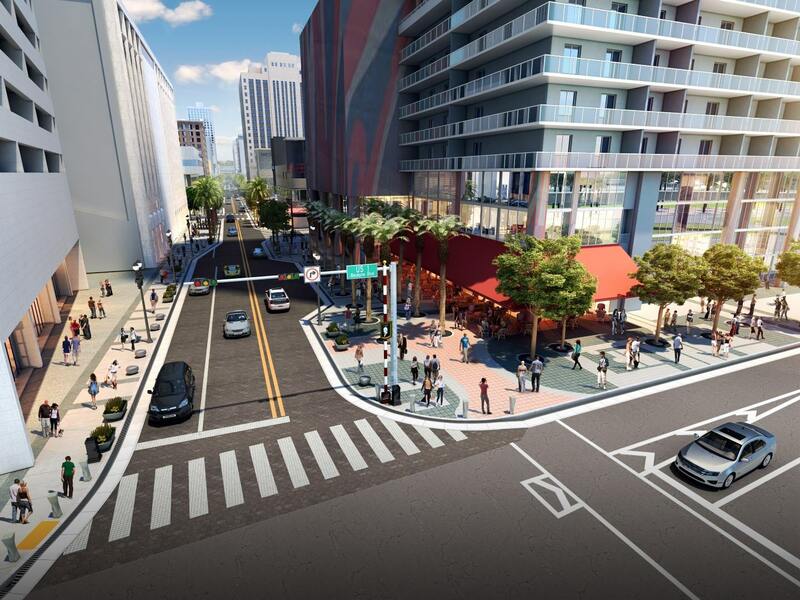 Beleive or not, Elvis Cruz and the Morning-side Civic Association sued the city of Miami over new landscape plans for the Biscayne Boulevard. 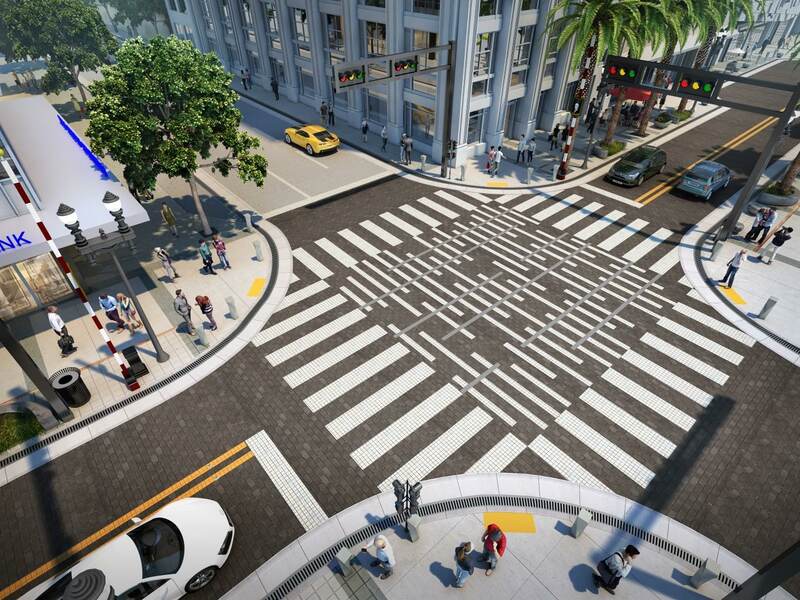 It was designed to create a tree canopy to encourage pedestrian traffic. They claimed that when tourists from NY come to Miami they want to see palm trees. They also claimed that Plam trees also provide shade. When tourists from NY come to Miami they don’t go to Morningside. Tree canopy for the residents sounds better. No wonder Biscayne Boulevard still looks like a war zone. Per weather.com, NYC only has two months where the average high is over 80 degrees (July – 83, August – 81). The average lows for those months are 68 and 63, respectively. Miami has 6 months over 80 degrees, topping out at 89 in August. It also has 2 months at 79 degrees. Eight of Miami’s 12 months are hotter than NYC’s 3rd warmest month (June – 77). The low temperature for the 6 months in Miami that average highs of 80 degrees or more range from 74-79 degrees. Miami has much warmer highs and significantly warmer lows, and for much more of the year than NYC. I’m not going to look it up, but humidity/dew point numbers will also bear this out. That said, I agree with your premise that there needs to be more shade trees and less of the useless palms. How the hell is something as simple as that taking over 3 years? For crying out loud, with $6 million, I could build that in less than a year! It took a year to build the Empire State Building! Like, I am so disillusioned with the process of getting things done in the United States! Ah, yes, I love the ESB comparison. Useful for nearly everything today. I thought this was a shared road… looks like a normal road… without even bike lanes. 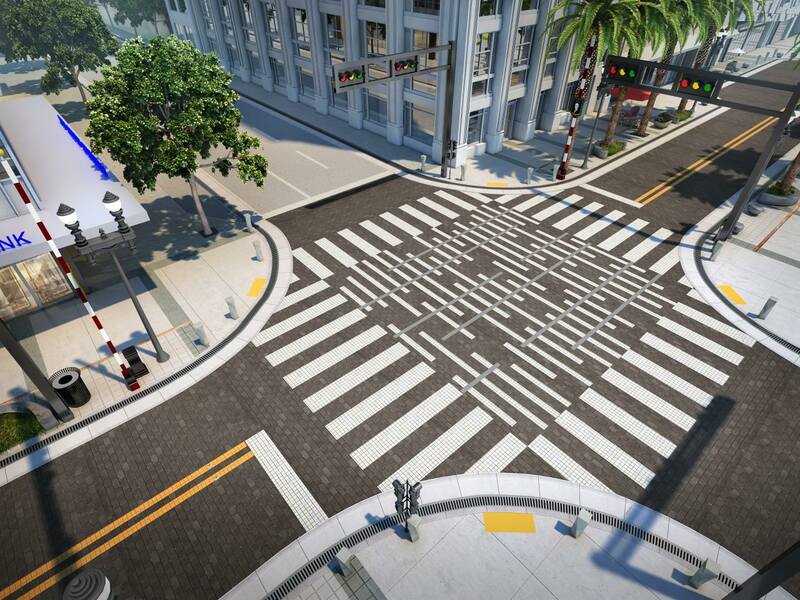 Also the intersections feature high speed radius turns instead of pedestrian bulb outs. I don’t think Flagler downtown needs bike lanes, it’s a slow local-traffic street. 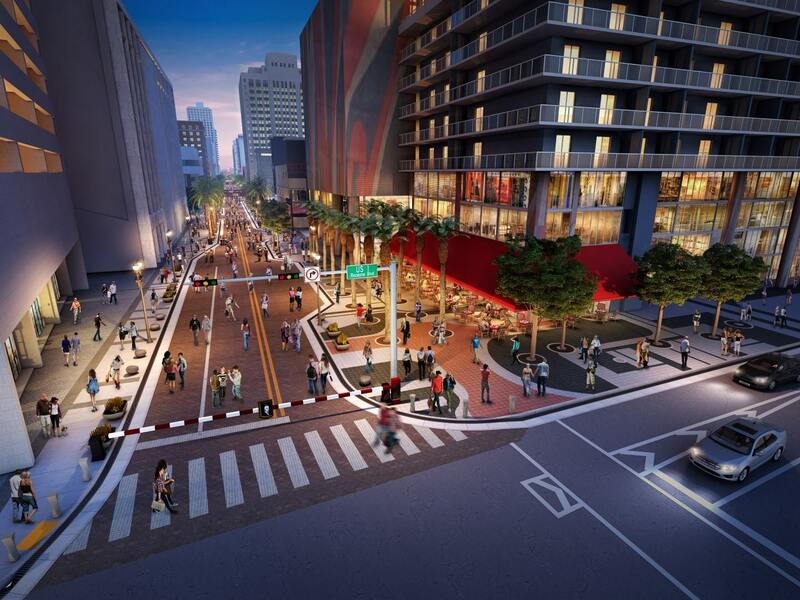 Thoroughfares like Flagler going west and SW 1 St east, NE 2 Av, Biscayne, Calle Ocho, etc need major protected bike lanes. Big step for Mana! Even though its someone else doing all the work and funding, this might be the closest he’s ever gotten to actually making something happen. 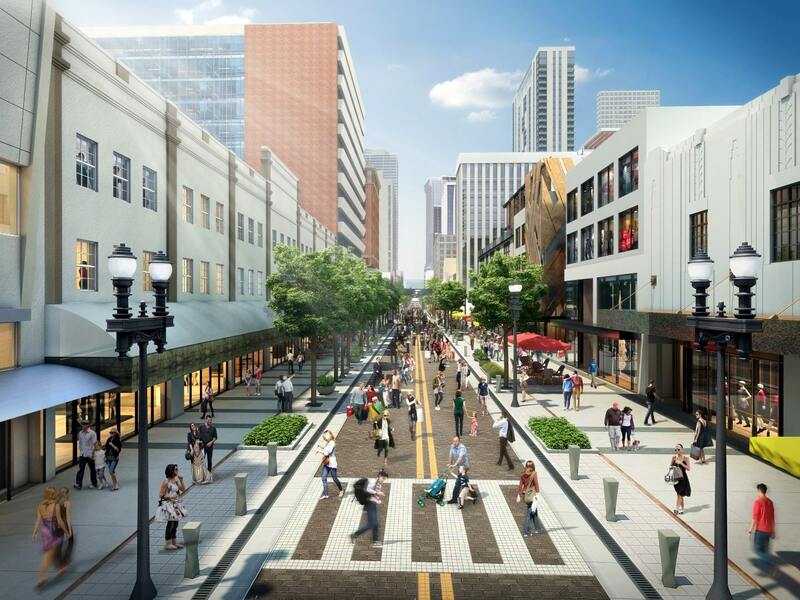 The only places that’ll have streets with people milling around like that are Miami World Center and MiamiCentral Station. So, where are the bars and clubs Mana? 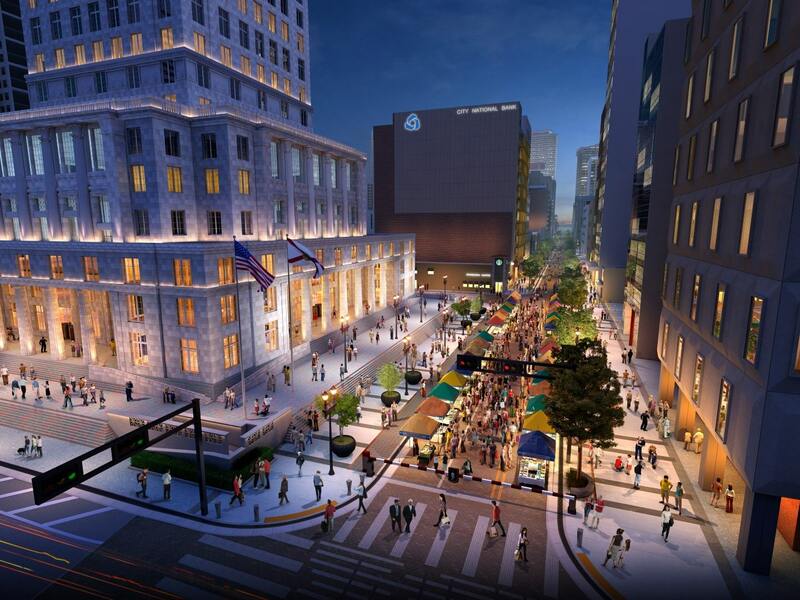 With the increase in population downtown, this would activate Flagler Street.. anything to make it more touristy and pedestrian friendly. He should support a TIF levied on his properties to pay for this. 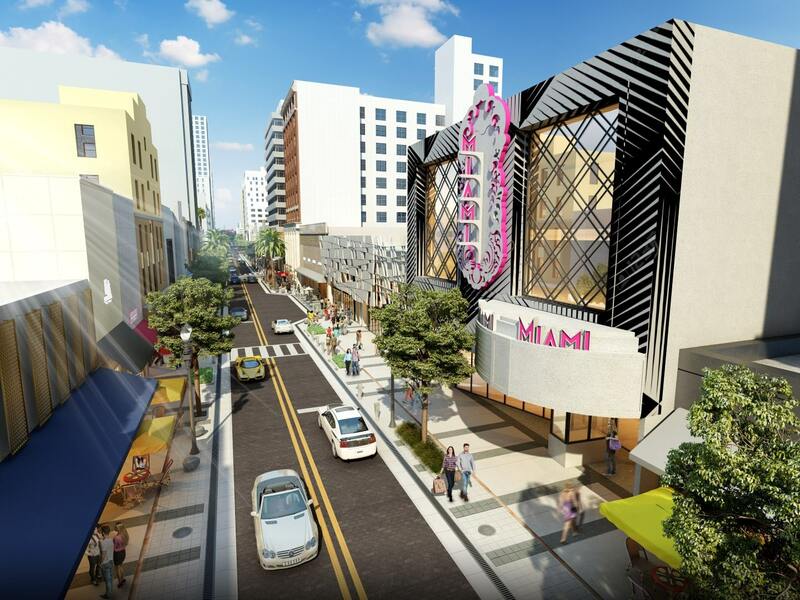 Overall it will be a nice addition to downtown Miami and hopefully will keep it active after 5pm. 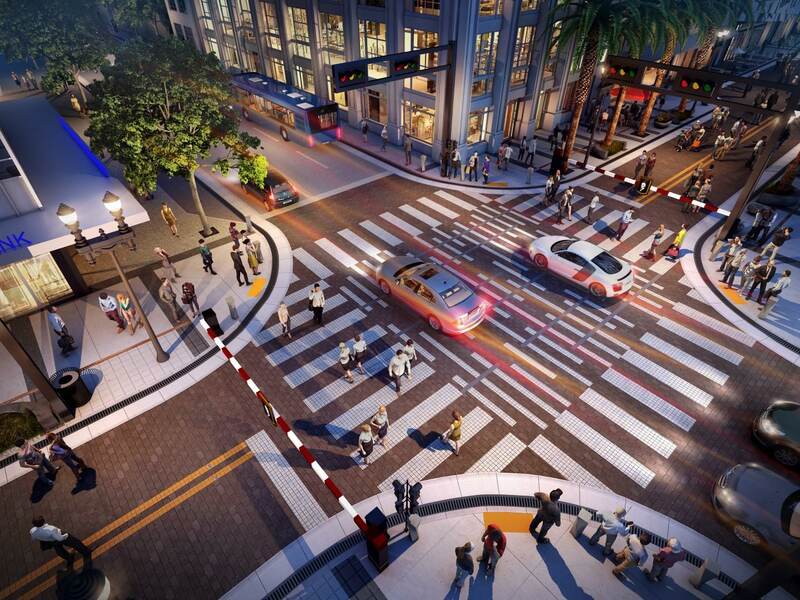 I didn’t see bicycles accommodated in the renderings. They should probably provide sharrows if no bike lanes will be provided. I also do not see any public amenities such as benches, trash cans and bike racks. 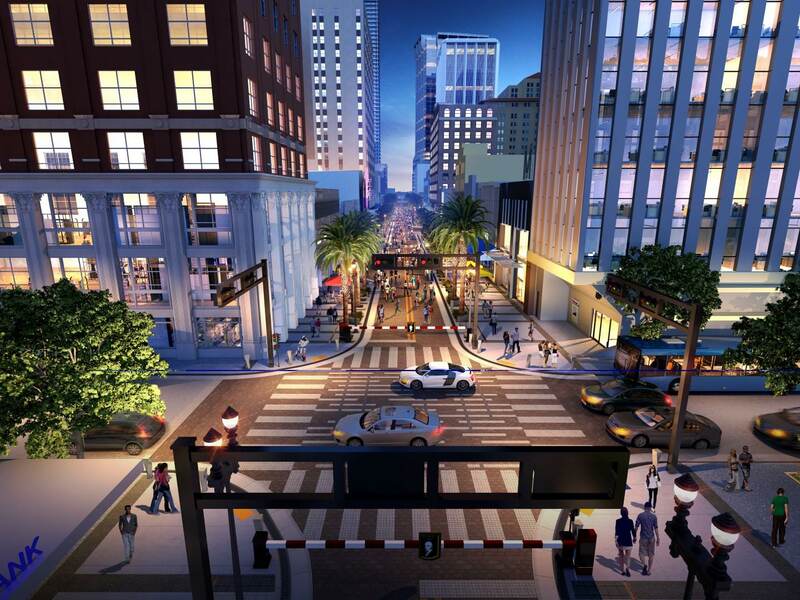 Those little railroad guard rails will not protect the pedestrians from the crazed driver trying to plow them down. 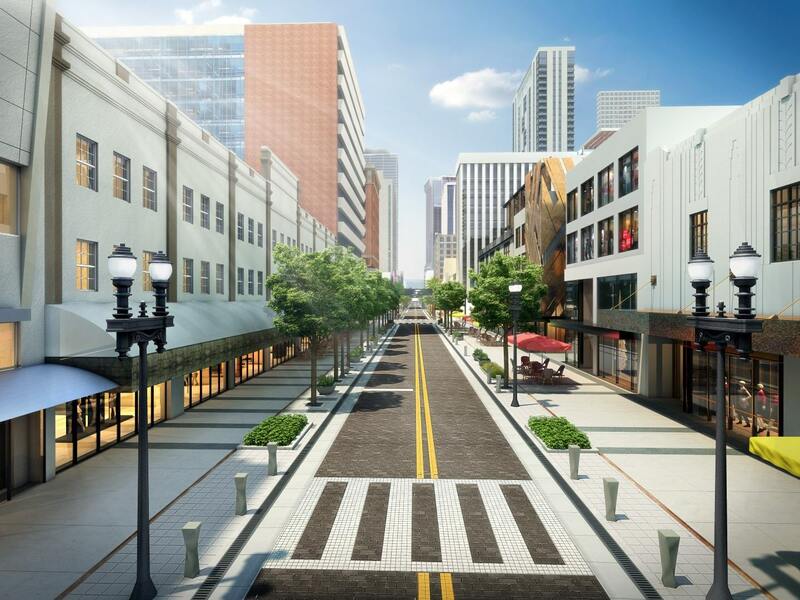 If they want this to truly be a festive street then they should close all the intersections at night like Austin does with 6th street and south beach does with Ocean Drive. Those rails would only force people to cross on the sidewalks but then what good is closing down the street? 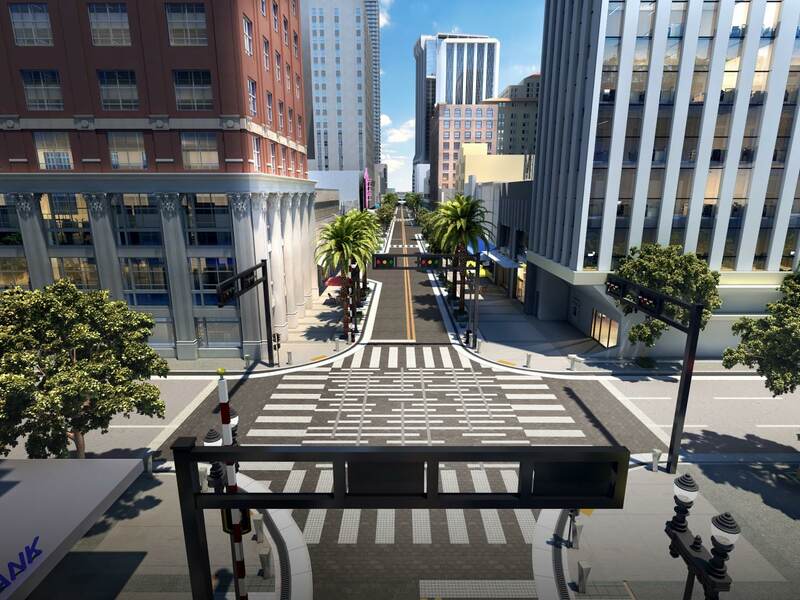 Electronic barricades strong enough to stop a car should be built into this project if it will open and close often. 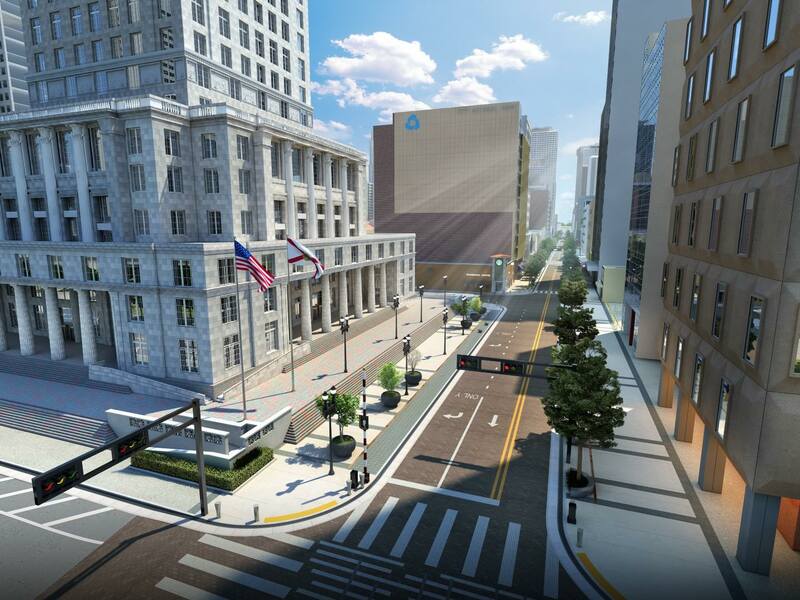 However, with so many main streets proposed which one will survive? So, curbs provide the dual functions of water drainage to sewer drain systems as well as providing a barrier between the car and the pedestrian. My questions are: where does the rainfall runoff go and do these bollards provide that protection? I don’t see any drains in the pretty video. I think there needs to be more bollards. I’d be more worried about the storm surge during hurricanes than rainfall if I owned a business here. Ha!… Mana doesn’t like black or gay people for that matter. Flagler will never be a Michigan Avenue the Magnificent Mile in Chicago or even Lincoln Road. Save your millions of dollars & invest the money where it’s needed, homeless shelters, food kitchens, subsidized rentals/housing, etc. Has anyone been downtown on a Sunday? Depressing…Stores & restaurants are closed & closing off traffic, planting some palm trees & opening a Starbucks isn’t going to cut it. Stop wasting our money! where is all the usual human debris and other low IQ aliens being imported from the s hole countries that seem the litter the street on a daily basis. Six million in remodeling won’t change that unfortunately. Donald Dump is that you?